Prabal Gurung collection was filled with red, silver, and black, in which Indian artist Anish Kapoor inspired him to use and think about how that translates to how Eastern women dress. The collection was slightly sinister with a mix of violent red and pure white. Prabal had a mix dark edginess with girly layers. 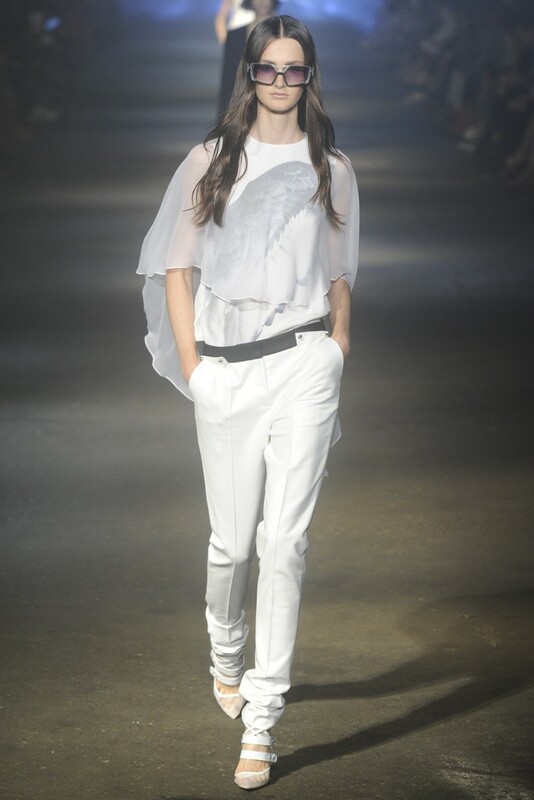 My favorite part of the show were the tees with bird wings. This was an interesting collection. I really didn't really know what drew me to the collection but I liked it. It's good thing it's my job to take photos of clothing and not review it.